Winter is… here. We have arrived at the darkest part of the year, and the Chanukah candles have burnt brightly, illuminating the darkness. Welcome to the month of Tevet, and the year 2017. Happy New Year! This month our resources deal with three related topics relevant to this time of the year. Firstly, let’s talk about 2017 – what are you planning on doing differently this year? As we start the secular new year of 2017, it is a great time to make some resolutions; something to do better or differently, a new habit to work on. We have some ideas below to help you develop some great new habits in the coming months. Secondly, and also related to the idea of the new year, we are actually approaching another Jewish new year – Tu B’shevat! In fact, Jewish tradition is very interested in the idea of new years, and the Mishnah (the rabbinic summary of laws codified in approximately 250 CE), in the section dealing with Rosh Hashana (1:1) tells us that we have four new years! Each one marks time for a specific purpose: there is Rosh Hashana, the most famous of all, when we mark the counting of the years themselves. 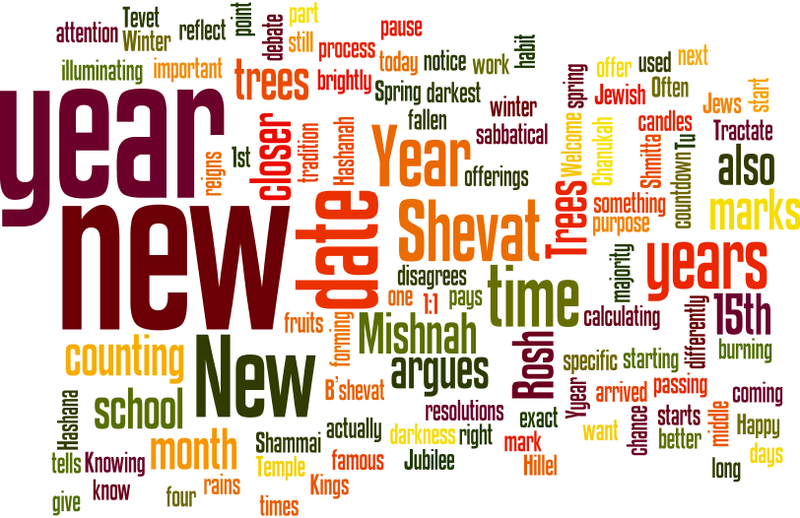 There is also the new year for counting the reigns of Kings; the new year for starting the countdown to the Shmitta (sabbatical) or Jubilee Year; and the New Year for the Trees, which we know today as Tu B’shevat, the 15th of the month of Shevat. Knowing when the new year for the trees starts is important for calculating the offerings that Jews used to give in Temple times. 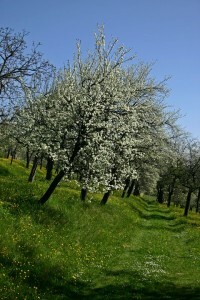 There is actually a debate in the Mishnah about the date of the new year for the trees. 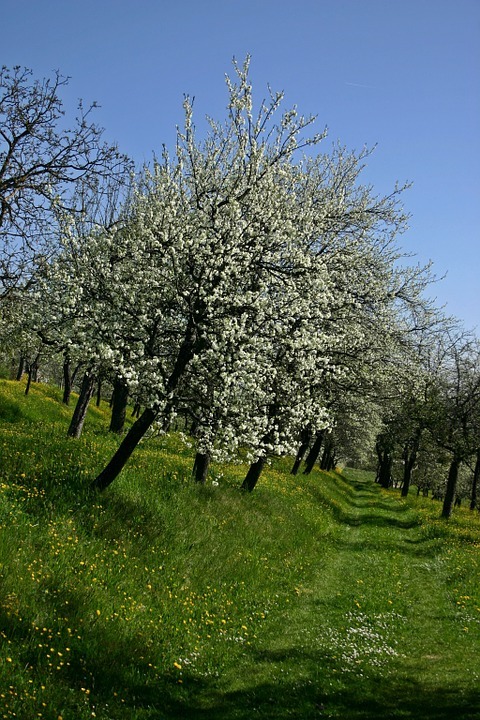 The school of Shammai argues that it is the 1st of Shevat, because that is the date after which the majority of the rains have fallen and the fruits start the long process of forming on the trees. The school of Hillel disagrees, and argues that the 15th of Shevat is the right date, because it marks the exact middle point of the winter. From this date on, spring is coming closer and closer. If you are a Jewish educator or communal professional, now is the time to start planning for Tu B’shvat, which falls this year on February 11th. We have chosen some of the best resources to help with your preparation. Thirdly, this is a great time to ask the question, what is a new year anyway? What does it do for us and how should we mark it? If you had to set the date for the new year for trees, like Hillel and Shammai did, how would you do that? We have some great ideas for a stimulating discussion with your colleagues or students on the nature of a new year, and how we understand the concept in Jewish tradition and our lives today. Have a great month and a wonderful 2017! How is 2017 going to be better for you than 2016? Is there anything you want to change or do differently? Charles Duhigg is a journalist whose best-selling book, The Power of Habit, helps us understand what habits are and how they work. He describes how habits have three parts; the cue, the routine and the reward, and by showing how they work together, he gives us helpful insights about how to change and build new habits. See here for a short introduction. With a friend, partner or colleagues, talk about what habit you want to change in the coming year. Read The Power of Habit (you can find lots of summaries of the book online if you don’t want to read the whole thing), to help you analyze and understand how to make the changes you want to make. Lots of links to great resources, including activities for children- Sustainable Living Inspired by Torah. Hazon’s family seder – beautifully put together, great for children and families and available for download. An educational unit for children focused on environmental responsibility, using “The Giving Tree” by Shel Silverstein. NOTE: to access this resource you must join JedNet (free). Nigel Savage, of Hazon, offers his thoughts on “The Jewish Omnivore’s Dilemma” in his JDOV talk, answering the question, what and how do Jews eat? What is a new year anyway? 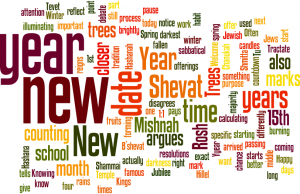 Read the text of the Mishnah (Rosh Hashanah 1:1) (available on sefaria) and consider the differences between the new years. They were all relevant to Jews in the times of the Temple, when sacrifices and offerings were an important part of Jewish life. How do you understand the meaning and value of a New Year? What might we want to count collectively, as a People, in today’s world? What other New Years could be useful and/or meaningful to us? (for example, New Year for the Schools? New Year for remembering the Holocaust?) What is worth counting and marking? As individuals do you have other New Years that you mark? Perhaps your birthday or wedding anniversary, or anniversary of other meaningful event (recovery from an illness etc.,)? What makes those dates meaningful and what does it add to your life to mark them every year? Have everyone make for themselves a calendar of a year, and mark on it the various points that they consider “New Years”. Share the meanings of these milestones and think about ways to celebrate or mark them, either individually or as a group. Give each other wishes for the upcoming celebrations.